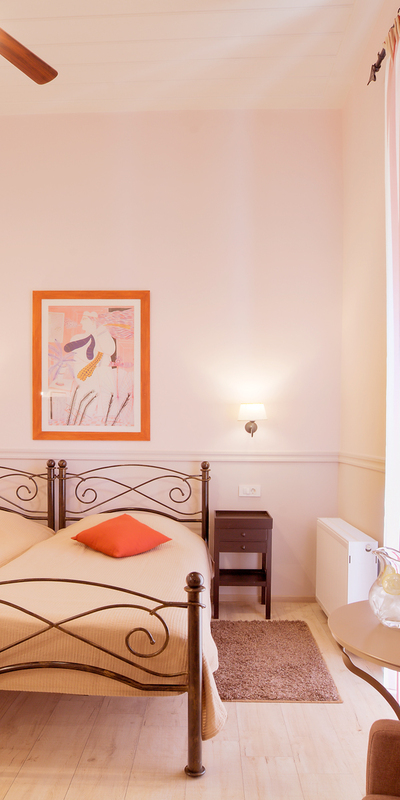 In the heart of Nafplio's old town, Omorfi Poli Pension is housed in a charming renovated neoclassical building of 19th century. Right next to the Peloponnesian Folklore Foundation and the characteristic port, it is just a minutes walk away from the central square (Syntagmatos' square). The 7 elegantly decorated rooms stand out for their ability to provide you with a calm, soothing environment, to help you relax. Each one has its own name which reflects its personal characteristics and unique aura. 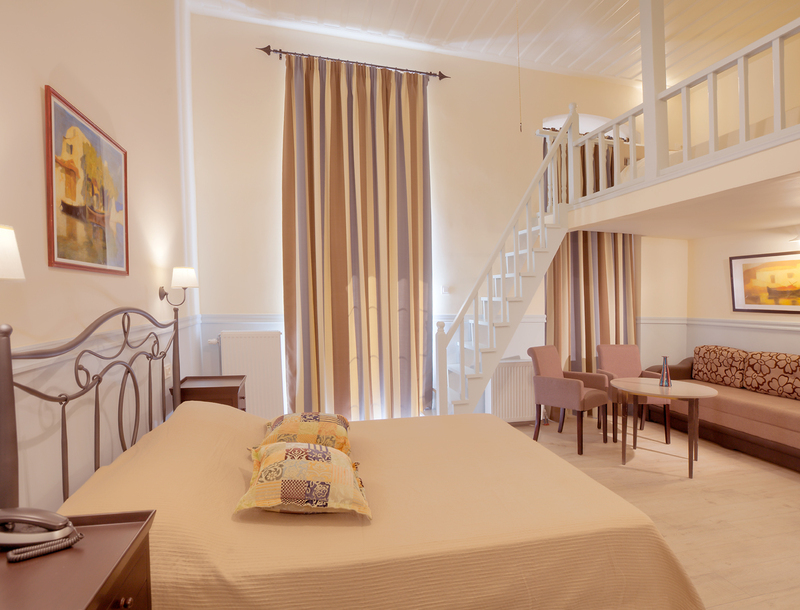 Providing private bathroooms, free Wi-Fi in all rooms, air conditioning and sunny balconies, visitors get to feel the vibe of Nafplion and its glorious History. Nafplion's history is discovered around every corner, hidden in each neoclassical house, each stone and tile. It is a town where relaxation becomes way of life.